The article gives you an insight into three most important aspects you must follow when putting up your Google local business listings. If you’re running a local business, its presence in Google local listings could spell better reach, improved buyer connect and maximized business growth. Most of the clients who contact us have one issue in common- despite a Google listing in place, they don’t see substantial growth in their business. We find faulty submission and no or incomplete optimization of your Google local listings being the reasons behind it. The article covers three main aspects of the listing namely, submission, optimization and Tracking. You must have seen business listings in map at the top or in the middle of Googles first page results. These listings are popping up when users trigger a search for a keyword accompanied by a specific city, i.e. ‘Brooklyn Attorney.' Google local listings are not the organic results. Rather, they are sponsored pay-per-click listings. 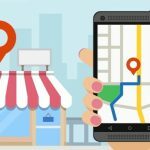 The article gives you an insight into three most important aspects you must follow when putting up your Google local business listings. 1. How to Submit Google Local Listings? That’s quite easy. Create your account in the Google Local Business Center and provide all the mandatory information needed. In case your business is already listed but you don’t have access to it for any reasons, claim it and verify it. While filling out profile details, make sure your profile is 100% complete and comprises all the necessary information including email, business hours, payment options, services, coupons, photos and videos. The best part of the listing is that it allows you to upload up to 10 photos and link up to 5 YouTube videos to promote and support your listing. Do provide all the possible information that’s important to your business listing. A complete profile captures the Google’s attention and reflects that your listing is the most relevant for some most searched keywords. 2. How to Optimize Your Google Listing? After submitting your list to Google, the next step to pursue is optimizing your listing. Start with adding your listing at listing websites beyond Google places. Make sure the information provided on different listing websites is identical to the one that’s available at Google local. Google is extremely adamant to see the same business information on every business listing. Therefore, it’s highly recommended across all platforms. The process of listing your business information on multiple platforms is by definition called ‘Citation’. There are many websites and directories where you can add your business listings. Yelp, Linkedin, Canpages and Yellow Pages to mention a few. What we recommend you is to analyze the competitor citations and create yours the way they do. 3. How to Track Your Google Listing? Now, when you’re done with above two phases, it’s time for systematic tracking of your business listings. 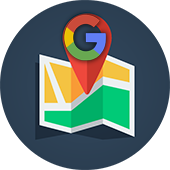 There are multiple ways to track traffic that your website gains from Google Maps listings. If you want to check how your listing is doing in terms of keywords used and location of the search, the dashboard provides a great understanding. The dashboard gives you an insight into various data such as Impressions and actions in the last month and top Search Queries. You can also track your business listing traffic using a dedicated profile within Google Analytics. The analytics dashboard will show up what keywords people are using to find/click on your local listing on the universal map. If you’re stuck with problems with your local business listings, you can find assistance in Local Business Help Forum. Experts out there would help you with your questions on business owners, duplicate issues, troubleshooting.